"Willy had judged him to be wholly and incorruptibly good. It wasn't just that he knew that Mr. Bones had a soul. He knew that soul to be better than other souls, and the more he saw of it, the more refinement and nobility of spirit he found there. Was Mr. Bones an angel trapped in the flesh of a dog? Willy thought so." 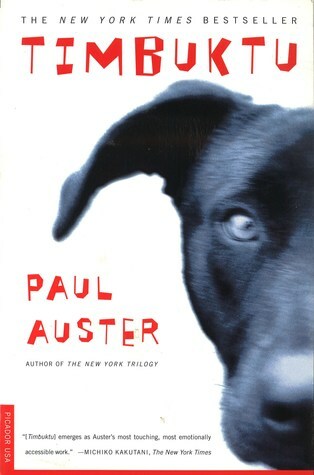 Paul Auster at his finest! Brilliant writing! If you are a dog lover, you must read this book. I am entirely in love with dear Mr. Bones. Sign into Goodreads to see if any of your friends have read Timbuktu.